I am the night shift and not either of them. The boat was built by a customer who sent in the photograph. It took him a while to get that finish but it looks faultless. Hi Richard, thank you for the compliments on my build. 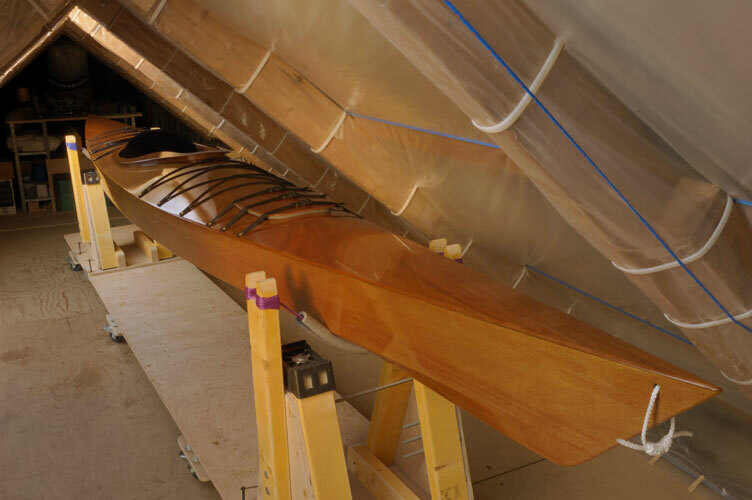 It was well worth all the effort involved due to the quality of the design by John Harris, who in my opinion got it right when he translated the classic skin on frame Greenland kayak into plywood and epoxy. I went to considerable lengths to get the fairing completely symmetrical on the hull. A great picture showing perfect symmetry. The secret (if it is a secret!) is to sand with wet and dry paper between coats and use plenty of water. I start with 400grit and after the 5th coat, I use 1200grit. That's right - 6 coats! That is dedication. starting with a smooth surface is best but do you brush or use a roller? Hi fairplay, if I understand your question correctly, my answer is that I used a block plane to plane the sheer clamp rails as the very last job before installing the deck panels. 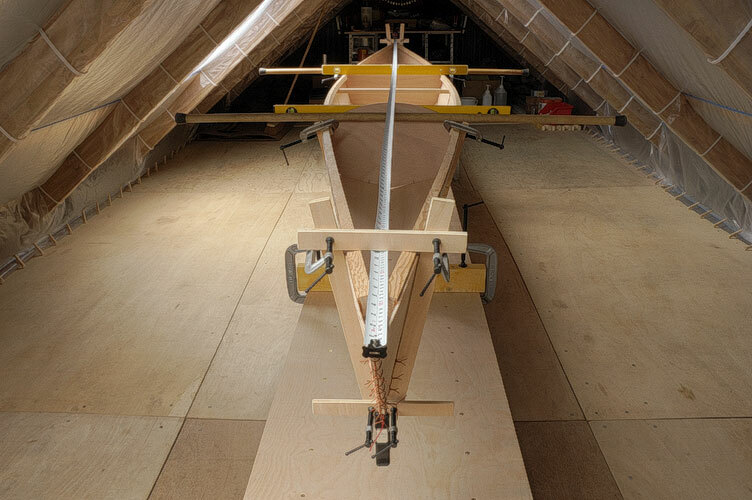 I remember it taking several days of patient eyework before I was finally satisfied with the bevelled sweep between bow and stern ...... well worth the effort. 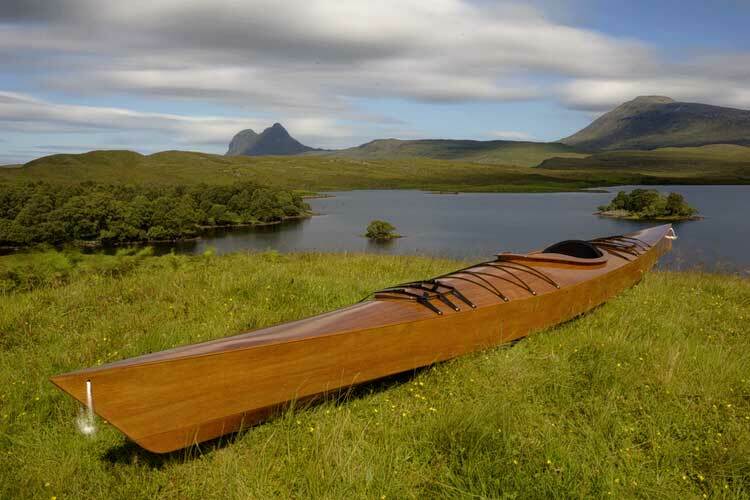 Here is a picture of my finished build just a few minutes away from being launched on Cam Loch here in Sutherland UK. This was a couple of weeks ago. Since then, I have been out on the water assessing how the kayak functions as a design, and I am really impressed. Whatever the water or the weather, the kayak seems to know from one moment to the next exactly what to do and how to perform - effortlessly. Thanks for this - I am trying to get one as good looking as yours. 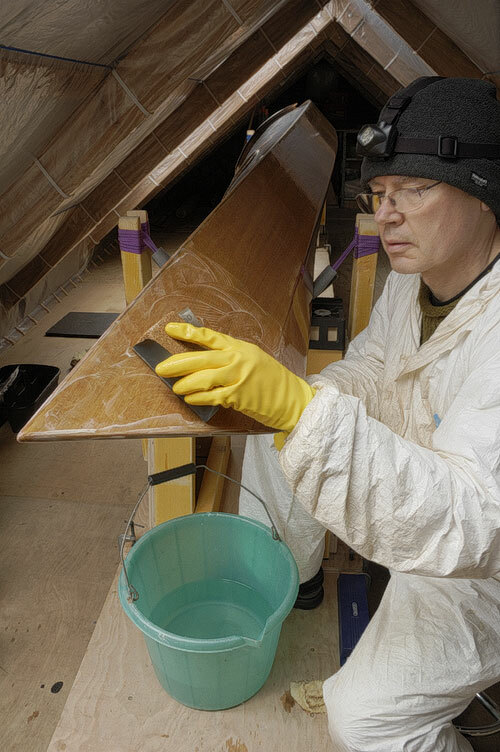 Take your time to let the varnish harden off before wet sanding between coats. Dilute the varnish just a tad with clean white spirit so that it flows properly, and put it on as thin a coat as is possible. Less is best. If you really want a good finish before you start, then more likely this is what you will end up with. A good finish is a lot easier to repair or refurbish too.